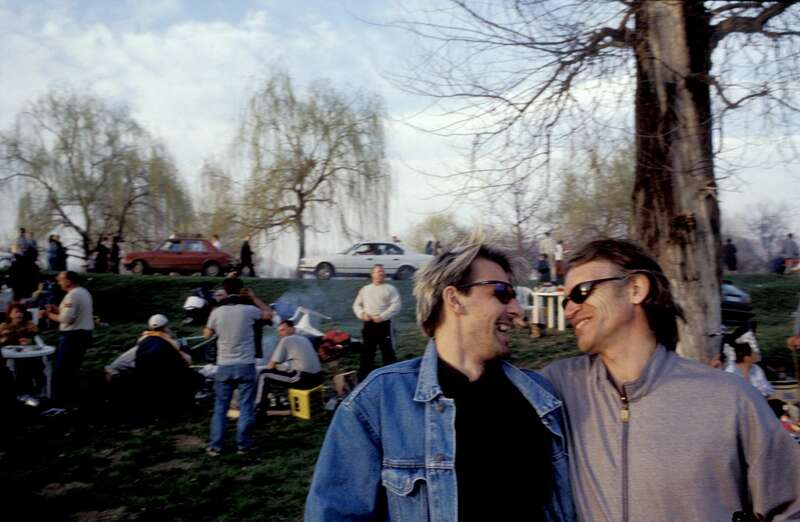 Two friends are among the thousands of people who turned out to celebrate \"cimburijada,\" which is held in thet town of Zenica every year on the first day of spring. The celebration begins at dawn when the hardiest revelers turn out to cook scrambled eggs on the banks of the river. As the day proceeds, the festivities become a giant picnic and party. Although locals proudly boast that the tradition is unique to Zenica, and has been observed since the end of World War II, no one seems to know exactly who started it or why.